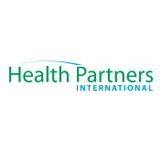 Health Partners International (HPI) is a leading provider of health sector expertise and programme management services. 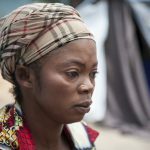 Supporting international targets for health, including the Millennium Development Goals, HPI assists low and middle income countries to strengthen health care for the poor. HPI is an employee-owned, UK registered company with a wealth of experience and a pragmatic approach to health systems development, especially in challenging environments. Since 1995, HPI have delivered more than 450 health projects in over 40 countries, across Africa, Asia, the Middle East, Latin America, the South Pacific and the Caribbean. Clients include DFID, USAID, World Bank, EC, the African and Asian Development Banks, national ministries of health, local government authorities, and a wide range of civil society and private sector organisations. 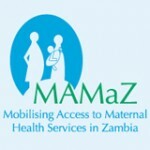 HPI is involved in the organisational management and reform of maternal health services as part of major initiatives in Africa, including South Africa, Nigeria, Namibia, Zambia, Malawi and Tanzania. Health systems strengthening, building the continuum of care, and operations research are cornerstones of our work. In the process, we seek to institutionalize evidence-based approaches to MNCH policy development and programming and test approaches such as results-based financing. HPI’s work on increasing access to maternal health services for the poor and marginalised includes; supporting the work and roles of Community Based Organisations in MNCH; strengthening legal frameworks and policy commitments to support the enabling environment for gender equity and achieve results for girls and women; building coalitions of change through stakeholder engagement with traditional and religious leaders; strengthening government capacity to deliver free MNCH and primary health services; understanding barriers to accessing services and developing appropriate interventions to resolve these (e.g. emergency transport and loan schemes for EmOC); monitoring and evaluating empowerment, accountability and demand for health services through operational research; and introducing financial safety nets for the poor at primary and secondary health facilities.